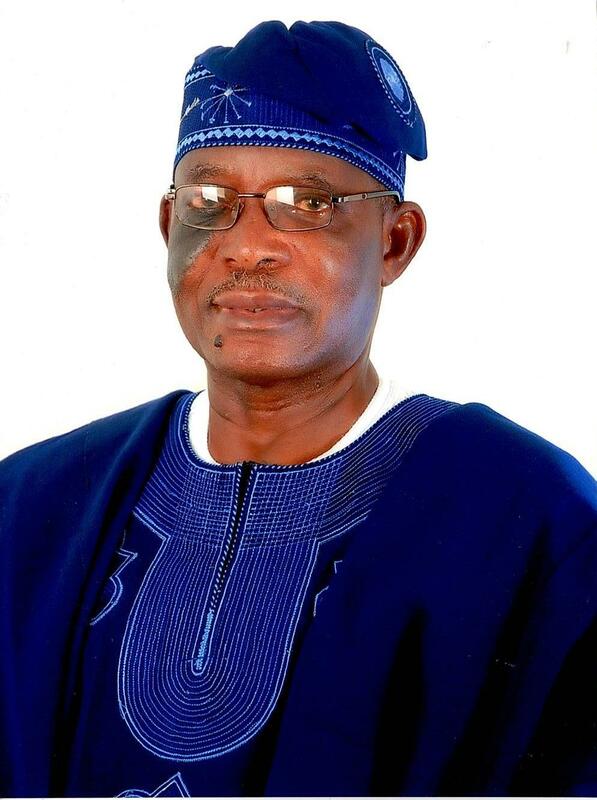 For Sir Oladipo Adeyemi Jibodu, life begins at 80. On a good day at the comfort of his home in Sagamu, he wakes to the joy of a lovely wife beside him. For exercise, he walks around his compound, takes light breakfast, reads, and then starts attending to visitors for the day. According to him, he feels at his best as he awaits his grand 80th birthday celebration on the 2nd and 3rd of December. 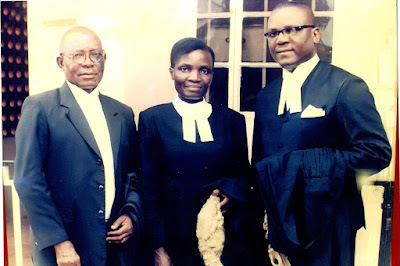 An ex Acting Registrar and Legal Officer of the University of Maiduguri, Sir Oladipo Adeyemi Jibodu retired from the Ivory Tower into Law Practice in the heart of Maiduguri: A place that he had lived with his family and worked all of eleven years. But after two years of Law practice, he returned home to Sagamu. It was a good decision. According to the Governor of Ogun state Senator Ibikunle Amosun in his tribute, Sir Jibodu has been able to contribute his quota and has given a selfless service to his community, through his legal profession in his native Ogun state, where today, his son is also a Honourable Judge having also studied Law. 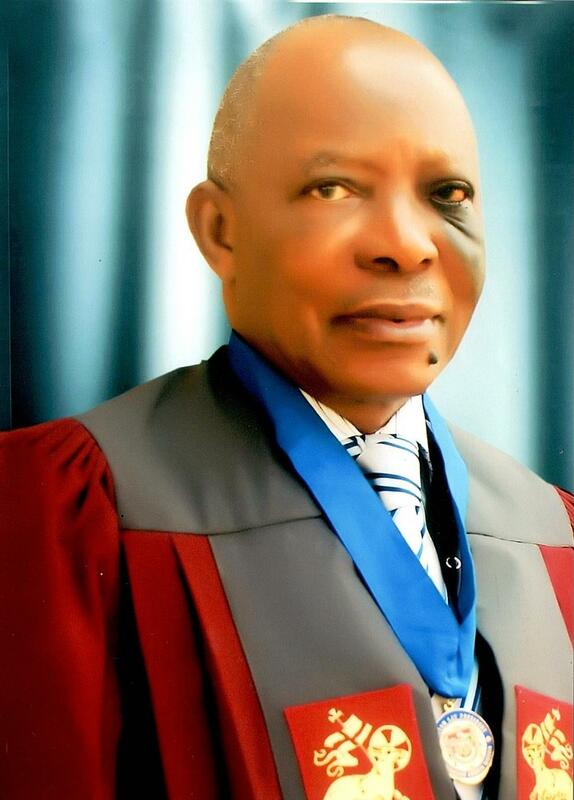 Sir Oladipo Adeyemi Jibodu, a Knight of the Methodist Church of Nigeria, in this interview with Paul Ukpabio, relive some of his lifetime experiences and recalls how he kept alive his late father's wish for him to study Law, returning to school three decades after, despite the challenges of finance, the pressure of work and fear of failure nursed by friends. Not many get to be 80 these days, how do you feel being 80? I will be celebrating on the 2nd and 3rd of December here in Sagamu, there will be a big event here on the 2nd, the launching of my book where lots of people have been invited. The Governor wrote a tribute and it is very likely he will be attending too. I feel it has been the grace of God that I have been able to make it to this age. It is not that I had not been ill at other times of my life, but by the grace of God, I have been able to reach this age. I feel well like they say about footballers, I feel in top form. God has done a lot of good things in my life. When you look back in what ways do you think that your background influenced you? Definitely because in terms of knowledge, education, I have been in a number of universities, I studied Law at the University of Ife, I also studied Public Administration, University of Durham, I was also in Manchester for a big course which is given to tertiary administrators. With that, I was in contact with a number of influential people in the country. I worked at the three federal universities, the University of Ife where I started, then moved to Ibadan and then the University of Maiduguri. The last place offered a real deep experience because we were starting out with a new university. Some of us were recruited in 1972. It was a big event in my life and I was in that university for eleven years. At the time that you set out to pursue a university education, was education common place? No, it wasn't at all. As a matter of fact, my late father was not educating the women. He was not enthusiastic over the idea, even when they were older than us. There was the fear in us the boys that when it came to our turn, that he may also likely say that we should go to the farm because he was a farmer. But as it turned out, at our time, he said he will take us to a school. We were lucky, because if there was no school for us then, life for us would have turned out differently. And so from primary school, I gradually moved to secondary school, and from there to the university. What do you think readily made your father suddenly then decide to educate the boys? Well, when we had the opportunity to later on ask him why he didn't educated our elder sisters who were before us, his reply was that, it was his intention originally to educate the male children who he was sure would be with him forever, but that the female children, would be going to other people’ houses. However, towards the end of his life, it pained him because the women grew up well too and turned out very right. If you see them, you would not even know that they didn't go to formal school. Who influenced you more between your mom and your dad? I think I will say that it was my father. But in terms of closeness, I will say my mother was. But again, it was my father who gave me spiritual knowledge and education and the necessary information that developed me. So I will say that my father influenced me more. I started primary school in Sagamu but my secondary school was outside Sagamu. That was Ahmadiyyah in Lagos. I was there and from there, the college was moved to Agege still in Lagos, few years after I started there. That gave me a different exposure. Agege was more or less a village at that time, but it is a big town now (Laughs). What determined your decision to study law? That was a combination of my father's wish and mine. Though he was a farmer, he did some form of elementary school. So he was aware of the power of education. When we were growing, at about age 18, he called my younger brother and I and told us that I will do law and my younger brother will study medicine. However, my younger brother did not study medicine, but he was able to get a Phd degree in Chemistry. Even when my father was dying, he still emphasized that I had to study law. When he died, it was a great loss to us because he was the financier of our education. With his death, I lost hope for studying Law. It was not easy to study law if you were not financially buoyant. I couldn't go on to study law immediately. Even though it was his wish that immediately I finished secondary school that I should go to London. He had some family members there. But I couldn't go immediately because of poor finance. So how did you eventually fund your university education? I started to work. I didn’t go until 1970 that was about 33 years in between. I had to work at the local government, work at the university and so on. I started to work and gather some money. It was when I was working that I applied and I was given admission in 1969 to start 1970. But another issue came up and that was the issue of money. I didn't have up to N100,000. It was the Registrar of the university where I worked that showed concern. He was not a Nigerian. He told me that I am enterprising but asked how I would be able to cope? He asked if I had children, I told him I had. He asked again how I coped. I replied him that I depended on God but I had a beetle car, that if it became difficult, that I would sell the car. That was when he had pity on me and said okay, I should see him in a weeks’ time in his office. When I got there, he said I would be given two hundred pound a year, it was a lot of money then, and that I would be given leave without pay which meant that when I finished each year and 'am on vacation, I should resume as an executive officer and continue like that until I finished the course. So at the end of the day, I didn't have to sell the beetle car. I was using the beetle car from town to attend lectures on campus in the faculty of Law. That was how I finished the course. I finished the study in three years; it was a time when there were no strikes on university campuses. It took over 33 years for you to study law, why did you insist on still going back to school to study law? That was because; it was my late dad's wish. It was also because; it was my intent and desire after that time, to study law. When you first got the message that you would be going to work at the University of Maiduguri in the far north, how did you feel? Ha, it was with mixed feelings because of the messages that we were receiving from the north then. When my wife heard it, she asked me why I wanted to go to the north; she asked if it was because of the money, she wondered about the incessant flies there and then the scorching sun. And the same information also emanated from the homes of my colleagues who were equally penciled down to move to the new University of Maiduguri. What I did was to sit my wife down and ask her a straight question. I asked if she was interested in going to Maiduguri. She replied that, anywhere I go, she would go and not only that, she will take all our children with her, so we will all go together. I was so elated with her reply. And when the time came, we all left for Maiduguri. We didn't have to discuss with anyone again after that. When I got there, I became the Ag Registrar. But you know, there was the issue of language, and the people there wanted their own person to be the registrar because the registrar had to be interacting with their Emir's and other traditional rulers who then did not understand other languages other than theirs. I was not surprised. And when a registrar was appointed, I was compensated with University Legal Officer, that’s because I had been to the Law School. I was also placed on the same scale as the Registrar. Did you enjoy your stay at the University of Maiduguri? Yes, I did, it opened a lot of positive avenues for me. I went to London so many times, atimes it was to buy uniforms for the university, atimes it was on matters of sponsorship. I was nominated for a course in University of Manchester. And that was an important course in my career too. How long did you work at the University of Maiduguri? I spent eleven years there. And at the point of retirement, I was lucky; I had a house, which was a bungalow in town, specifically at the GRA. So I retired there and planned to remain in Maiduguri to practice Law. I left the university house. For two years, I was practicing law in Maiduguri. But one day, I woke and something touched my brain. I recalled that my extended families were still back in Sagamu. It occurred to me that I might as well return to Sagamu, since I could practice law even there. It was after then that we returned to Sagamu. Today we hear of the many woes of Maiduguri in terms of Boko Haram exploits. How do you feel about it? I feel bad because there was a lot of merriment, a lot of friendship in that place for us. We have so many good memories of the town and the entire place in general. Since the hostility started, sometimes I stop to wonder what could have become of me and my entire family if I had stayed put in the town. At a time I was calling my friends over there to return home but they refused. But we thank God that though they stayed back, they fared better. My friends in the university didn't die; some of them have even become professors. So it’s not all bad stories. Yes, I was not released on time at the University of Maiduguri because we were the main principal officers that the university depended on, especially because of the time that I had spent in Ife and Ibadan. So they couldn't release me earlier. It was okay. But there were initially fears from my friends and other people at the university in Maiduguri that I may not do well there, and their fears were anchored on the fact that even the younger ones were failing easily at the Law School. But as it happened, I passed well even at the first try. I enjoyed it actually. Yes. But at that time, they were not yet out of the university. It was two or three years after, that they started coming out of the university. Now I thank God I have a son Tokunbo, who is a Honourable Judge in Ogun state. He decided to study law like I did. I am very proud of him. He became a Judge at 43 that is a record. I have a daughter too who has taken after me. She is equally brilliant but didn't come out of the Law School immediately because of issue of illness. That affected her and affected the time she concluded at Law School. How about the other children? The others have passed out of the university but in other disciplines. They were some of your mates who travelled abroad then and returned with a white lady as wife. Why did you not return with a white lady as wife? (Laughs) Firstly, that didn't happen because I already had a wife before I left. You know what that would have meant if I had gone ahead and returned with a white lady as wife. Secondly, not many people really like to go out there and marry a white lady. Some of them are good and some of them are bad. To start with, not many of them will want to return to Nigeria with you. And for the few that may follow you to Nigeria, if there is any little quarrel here, they just go back, they can’t experience the kind of things that our women here experience with us. For instance, when the option of going to Maiduguri came up for me, my wife told me that where ever I go, she will go. That made me to love my wife much. What can you say about your health and longevity? (Laughs) I can only say that it is the grace of God. Like I said earlier on, it is not that I didn't fall ill at some point, but by the grace of God, I was able to overcome such illnesses. Do you have special foods that you take? Not really, but I try to take light food in the morning. I take eko, ogi and akara. But in the afternoon, I love to take egusi soup with eba, rice, tuwo and so on. And in the evenings too I take light food. Yes, in those early days, I used to play football. I was into other games at times too, but on getting a bit older, I had to drop them one after another. But you still do some sort of exercises? Yes, I do, but I limit all such exercises to the confines of my compound. Another reason why I may have longevity is because I do not over exercise myself with unnecessary socials. I have always been a social person, but I restrict that to socials of close ones. There was a time that I used to drink alcohol, beer especially when I was working. But these days I have limited it to water most times or soft drink. Are you a member of any social club? Yes, but not many. In the university days I was much more involved. After that, I was personally not involved in societies because I was more interested in reading books. You know with Law, I had to read almost every day and study a lot of times to meet up with cases, so that really took a lot of time off my hands, and I didn't have enough space for societies and clubs. So, what do you really do these days? I have virtually retired home. I can do a whole month without going out these days. I sleep, wake, refresh myself, walk around the house, do my exercises and receive visitors. People come here to see me. However, I spend a lot more time for church matters. And before I left my service for the church I became the Lay President which is the highest office one can get to in the Methodist Church and the Baba Ijo. I’ve been that for ten years now. It is a life position because one is there on merit. I was also given the highest award, the Knight of John Wesley, which enables me to attach 'Sir' to my name. (Laughs) I was good at 'tying up’ too, appearing most of the time in formal clothing as a lawyer. My son had to take most of my suits later, but much later also; he was picking his own suits each time he went to London. I love wearing agbada, I feel good in the traditional outfit. It has always been a usual kind of dressing for me. What are you looking forward to for the rest of your life? The way God has made me; I must confess to you that by faith, it seems to me that life has just begun now that I am 80 years old. That is because I feel strong, I don't have any ailment, I have gone to hospitals, I have done a lot of medical tests, and i have been confirmed to be very okay. I was told that all parts of my body are working well. So, since my body is in a good shape, I must continue doing some things. On days when i do not have anything doing, i read. I have a little problem with my eyes. I can see very well, but I cannot read for long like before. I went for an eye operation some time ago, it was successful, but the sight has not been as perfect as it used to be. But I still see very well. I believe God has blessed me in many ways, so I can say that I am fulfilled. At 80 what will you say has been your greatest possession? (He looks up suddenly and replies…) That will be my family. I am indeed grateful to God for my children. They have been good to me. For this celebration for instance, they have taken it upon themselves to celebrate me. 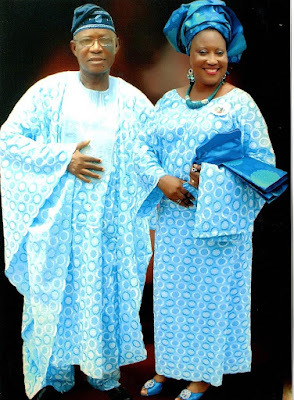 They decided within themselves that they would handle all the finances by themselves, even the clothing and shoes for the celebration for my wife and I, are all coming from them. What else should be the joy of a father? Moreover, they have given me good grandchildren and great grandchildren. I enjoy their company a lot and usually look forward to see them. What made you decide to write a book about your life? It was when I looked back over the years, and realized the exceeding grace of God that he bestowed on me, I felt compelled to put it in writing. Every picture of my life has been influenced by His grace. But at what point did it occur to you to commence the writing? It had been on my mind, a long time ago. But then because of the hard work of combining the public service and the service to the church as a lay president, I couldn’t start as early as I thought I would. Being the lay president, is a busy position for anyone. I had to attend meetings at several places One has to attend meetings with the Bishop as time calls for it and personally, one has to hold several meetings too. But immediately I left the position of a lay president, I began to write things down in 2014. No, no, no regrets in whatever way. However, life is difficult in Nigeria. I hear some people say that if they are to return to life, they want to be given birth to, in America (Laughs). For me, I will like to come back to Nigeria that is because Nigeria is good. I also believe that the country is still going to be better, we should just push ahead, with determination, we as a country, will keep getting better.